Tour guide Rick Sebak sets out to find some of the most irresistibly kitschy roadside buildings in America. 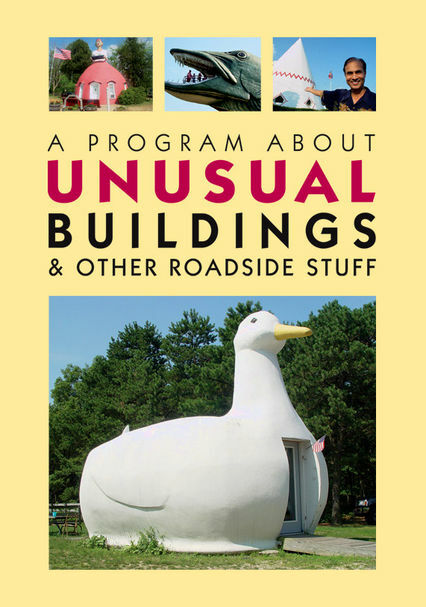 Built to lure tourists off the highway and hopefully into the mood to spend money, buildings such as the Big Duck on Long Island, the Clam Box in Ipswich, Mass., and the World's Largest Catsup Bottle in Collinsville, Ill., definitely catch the eye. Sebak also visits the hot-dog-shaped Tail o' the Pup in West Hollywood, among others.